(anon). Yosemite. Volume 61, Number 2. On the Path of the Puma... A Journal for Members of the Yosemite Association. El Portal. Self published. Spring, 1999. 4to. Soft cover. First edition. Illustrated. Fine copy. (anon). Yosemite. Volume 61, Number 3. Yosemite: The First National Park... A Journal for Members of the Yosemite Association. El Portal. Self published. Summer, 1999. 4to. Soft cover. First edition. Illustrated. Fine copy. (anon). Yosemite. Volume 62, Number 4. An Indian Thanksgiving... A Journal for Members of the Yosemite Association. El Portal. Self published. Fall, 2000. 4to. Soft cover. First edition. Illustrated. Fine copy. (anon). Yosemite. Volume 63, Number 3. McCauley's Glacier Point Mountain House... A Journal for Members of the Yosemite Association. El Portal. Self published. Summer, 2001. 4to. Soft cover. First edition. Illustrated. Fine copy. (anon). Yosemite. Volume 65, Number 2. A Year for Yosemite Anniversaries. 2002 Annual Report... A Journal for Members of the Yosemite Association. El Portal. Self published. Spring, 2003. 4to. Soft cover. First edition. Illustrated. Fine copy. (anon). Yosemite. Volume 65, Number 3. The Yosemite Association Celebrates 80 Years... A Journal for Members of the Yosemite Association. El Portal. Self published. Summer, 2003. 4to. Soft cover. First edition. Illustrated. Fine copy. (anon). Yosemite. Volume 66, Number 1. A Yosemite Room with a View... A Journal for Members of the Yosemite Association. El Portal. Self published. Winter, 2004. 4to. Soft cover. First edition. Illustrated. Fine copy. (anon). Yosemite. Volume 67, Number 1. Sierra Nevada Bighorn Sheep... A Journal for Members of the Yosemite Association. El Portal. Self published. Winter, 2005. 4to. Soft cover. First edition. Illustrated. Fine copy. (anon). Yosemite. Volume 67, Number 3. The Beginning of Yosemite Tourism... A Journal for Members of the Yosemite Association. El Portal. Self published. Summer, 2005. 4to. Soft cover. First edition. Illustrated. Fine copy. (anon). Yosemite. Volume 68, Number 1. Yosemite's Pioneer Lower Hotel.. A Journal for Members of the Yosemite Association. El Portal. Self published. Winter, 2006. 4to. Soft cover. First edition. Illustrated. Fine copy. (anon). Yosemite. Volume 68, Number 2. Parkitecture. 2005 Annual Report... A Journal for Members of the Yosemite Association. El Portal. Self published. Spring, 2006. 4to. Soft cover. First edition. Illustrated. Fine copy. (anon). Yosemite. Volume 68, Number 4. Hetch Hetchy Valley's Enduring Legacy... A Journal for Members of the Yosemite Association. El Portal. Self published. Fall, 2006. 4to. Soft cover. First edition. Illustrated. Fine copy. (anon). Yosemite. Volume 69, Number 1. Celebrating Steven P. Medley... A Journal for Members of the Yosemite Association. El Portal. Self published. Winter, 2007. 4to. Soft cover. First edition. Illustrated. Fine copy. (anon). Yosemite. Volume 69, Number 2. Moonbows in Yosemite... A Journal for Members of the Yosemite Association. El Portal. Self published. Spring, 2007. 4to. Soft cover. First edition. Illustrated. Fine copy. (anon). Yosemite. Volume 69, Number 3. A Trip to the Summit... A Journal for Members of the Yosemite Association. El Portal. Self published. Summer, 2007. 4to. Soft cover. First edition. Illustrated. Fine copy. (anon). Yosemite. Volume 69, Number 4. Something Special... A Journal for Members of the Yosemite Association. El Portal. Self published. Fall, 2007. 4to. Soft cover. First edition. Illustrated. Fine copy. (anon). Yosemite. Volume 70, Number 2. Following Yosemite's Wild and Scenic Rivers... A Journal for Members of the Yosemite Association. El Portal. Self published. Spring, 2008. 4to. Soft cover. First edition. Illustrated. Fine copy. (anon). Yosemite. Volume 70, Number 3. Yosemite Nature Notes... A Journal for Members of the Yosemite Association. El Portal. Self published. Summer, 2008. 4to. Soft cover. First edition. Illustrated. Fine copy. (anon). Yosemite. Volume 70, Number 4. Everything Photographic... A Journal for Members of the Yosemite Association. El Portal. Self published. Fall, 2008. 4to. Soft cover. First edition. Illustrated. Fine copy. (anon). Yosemite. Volume 71, Number 3. America's Best Idea. Born in Yosemite... A Journal for Members of the Yosemite Association. El Portal. Self published. Fall, 2009. 4to. Soft cover. First edition. Illustrated. Fine copy. (anon). Yosemite. Volume 71, Number 2. 2008 Annual Report. A Journal for Members of the Yosemite Association. El Portal. Self published. Summer, 2004. 4to. Soft cover. First edition. Illustrated. Fine copy. (anon). Yosemite. Volume 71, Number 2. 2008 Annual Report. A Journal for Members of the Yosemite Association. El Portal. Self published. Spring, 2009. 4to. Soft cover. First edition. Illustrated. Fine copy. (anon). 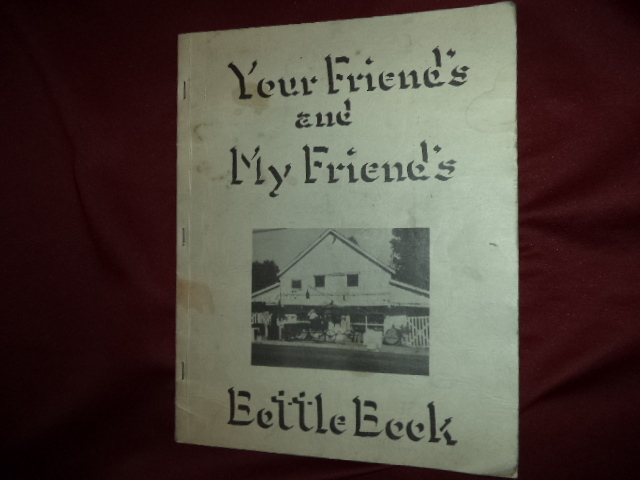 Your Friend's and My Friends Bottle Book. Jamestown, Calif. Photo available. Jamestown. Self published. 1967. 4to. Soft cover. First edition. Illustrated. Important reference work. Scarce. Very good copy. Light shelf wear, light soiling to front cover. (anon). Ansel Adams. The Sierra Club Bulletin. Volume 50, Number 10. North Cascades, Grand Canyon, Dams, Robinson Jeffers, etc. San Francisco. Sierra Club. December, 1965. Octavo. Soft cover. First edition. Illustrated. Ansel Adams, Philip Hyde, etc. Fine copy. (Arrowsmith's). Arrowsmith's. The World's Most Exclusive Catalog - Christmas, 1981. Photo available. Prescott. 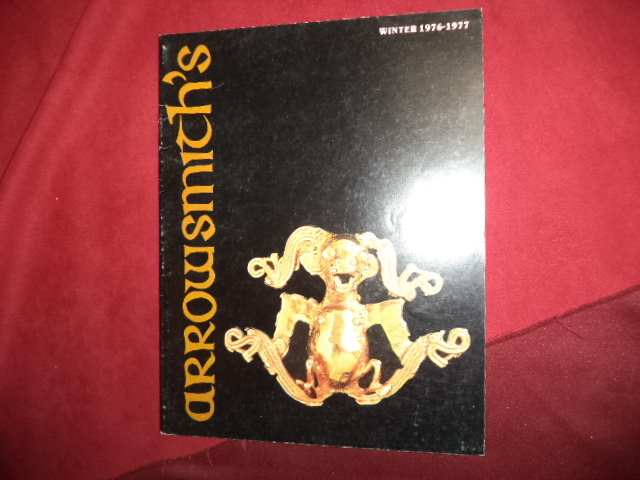 Arrowsmith's. Winter 1976-1977. 4to. Soft cover. First edition. Illustrated in black, white and color. Fine copy.